Arcam rPhono preamp will make the most of your vinyl without costing the earth | What Hi-Fi? Arcam's new phono preamp is designed to replace your amp's built-in phono stage, or to make your existing (non phono) amp compatible with turntables. If you want to improve how your vinyl sounds, or add a turntable to your hi-fi setup, the Arcam rPhono could be for you. According to Arcam, it uses the finest quality parts in a layout that's optimised for low noise and minimal distortion. Externally, it shares its casework with the Arcam rPlay, one of our Stars of CES 2017. The rPhono's multi-layer PCB (printed circuit board) maximises the quality of the ground plane to minimise interference between components. 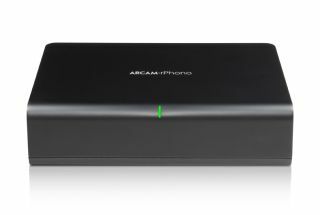 The Arcam rPhono also deploys multiple, low-noise, individually regulated power supplies, meaning that it should deliver the cleanest signal to the output stage. Its precision impedance matching uses high-quality trimmers instead of discrete steps, which will be great for moving coil (MC) cartridge users, while if you have a moving magnet (MM) cartridge, there's a wide variety of capacitance options. An optionally selectable low-frequency 'rumble' filter helps reduce the effects of warping vinyl and pressing irregularities. The Arcam rPhono will go on sale before March, and will cost £399.